Twisting crowns, rotating bezels, voice control, or just bog standard physical buttons. Apple, Samsung, Pebble and the rest have been trying to come up with the best solution to a big problem – finding intuitive ways to access core smartwatch features with minimal effort. With such a small body and screen estate to play with, it’s no easy feat. Sometimes it means sacrificing that slender form factor or taking traditional watch features and giving them a modern twist. If you can’t pull it off, it doesn’t matter how many features you pack in there, people won’t want to wear it for long. Thankfully there’s some companies that are getting creative with smartwatch interactions, and it’s working. So who’s getting it right and who’s getting it badly wrong? We’ve selected two great examples of how it should be done and another that should be well forgotten about. 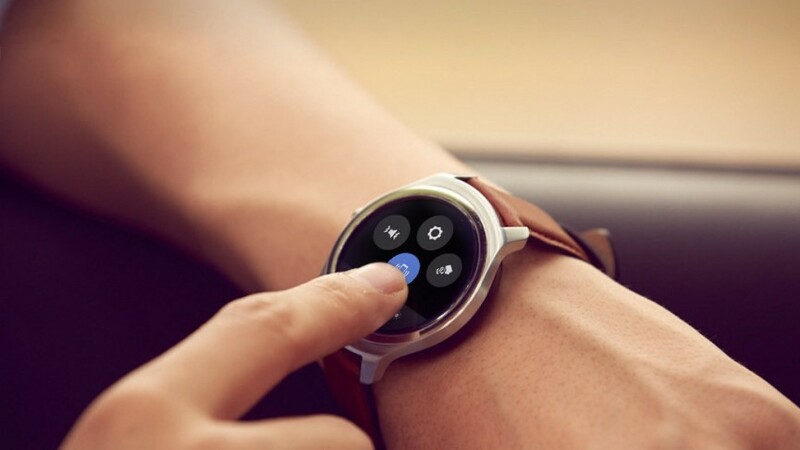 The TicWatch 2 could be one of the biggest smartwatch surprises of 2016. The sub-$200 timepiece has an impressive specs list including a high quality OLED touchscreen display, heart rate monitor and built-in GPS. It’s also a bit of a looker with its leather strap and brushed metal bezel making it look like a bit of a bargain. Creators MovBoi is using its own operating system and it’s also putting a new spin on the way you interact with the smartwatch. The Tickle strip (we know, a ridiculous name) is a gesture enabled area on the side of the watch, which you can slide your finger up and down to scroll through apps and menus. It’s an alternative take on Apple Watch’s digital crown or Samsung’s rotating bezel on the Gear S2. We’ve tried it, we really like it and we think MovBoi could be onto something here. But that’s not all. If you tap on the top of your watch, you’ll be able to unlock more features including controlling music volume, launching the camera as well as dismissing vibration alerts and calls. So why is it nearly there? 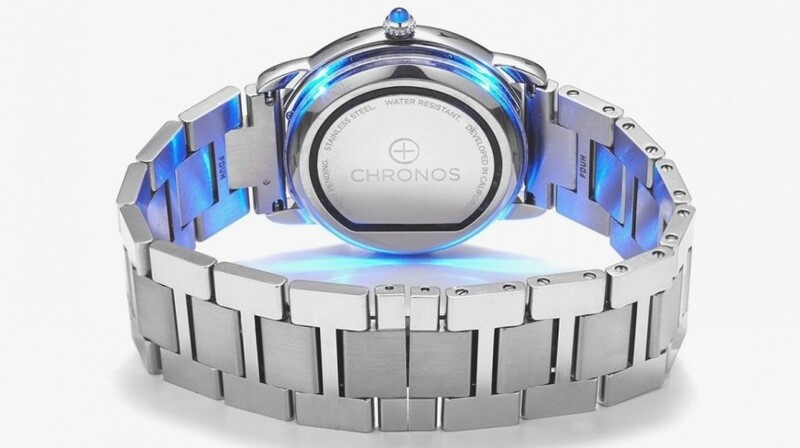 According to Chronos, it will work with 80% of watches. So it’s not the ultimate solution for everyone. 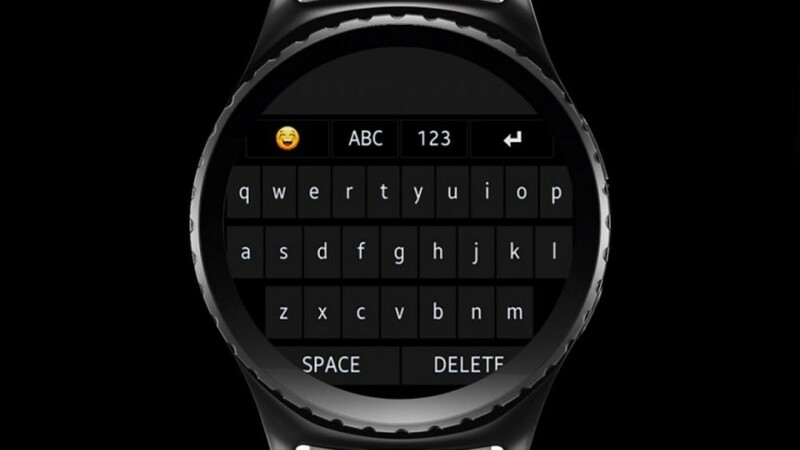 Show us a good virtual keyboard on a smartwatch, because we haven’t found one that doesn’t instantly make you look ridiculous trying to type without hitting multiple keys at the same time. This is one smartphone interaction that simply does not translate well at all on smartwatches. The one on the Gear S2 is an absolute nuisance to use, and while a whole host of Android Wear apps have made an admirable attempt to add keyboard support to the current crop of Wear watches, ultimately it just doesn’t work. The new keyboard in Android Wear 2.0 could be the saviour, or maybe we’ll have to wait for something like Samsung’s smartwatch keyboard that projects the keys on your hand before we actually get anything close to useful.